A cool police comedy, Beverly Hills Cop transformed Eddie Murphy from superstar to global phenomenon. The film is a perfect vehicle for Murphy's brand of comic urban agitation, and the blend of laughs and action is irresistible. Axel Foley (Murphy) is a Detroit undercover cop who does not mind breaking all the rules in pursuit of bad guys. His old friend Mikey (James Russo), an ex-convict, shows up in town carrying some seemingly stolen government bond certificates. Mikey had been working as a bodyguard at a Beverly Hills warehouse, and seems agitated. Sure enough, a couple of hitmen soon show up and kill Mikey. Against the wishes of his superiors, Axel heads to California in his beat-up car to track down the murderers. Once in Beverly Hills, Axel connects with art gallery curator Jenny Summers (Lisa Eilbacher), a common friend with Mikey. She in turn directs Axel to the very wealthy gallery benefactor Victor Maitland (Steven Berkoff), who also owns the warehouse where Mikey worked. 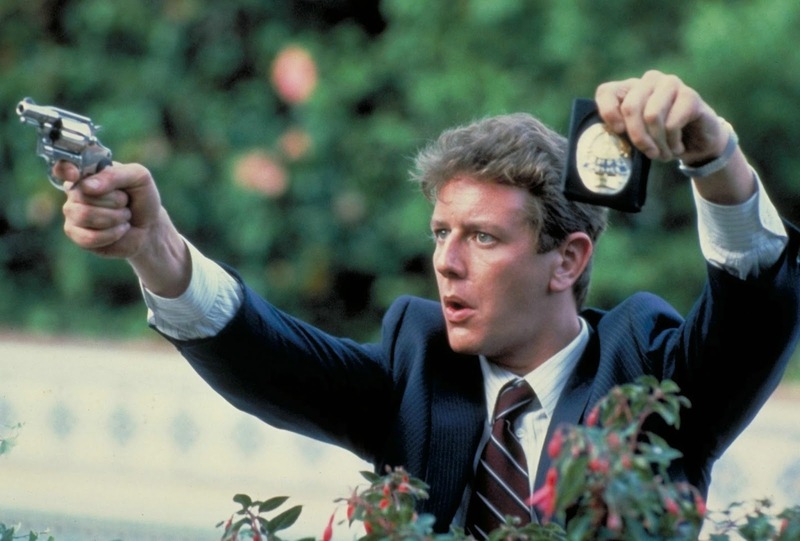 Axel starts snooping into Maitland's business, which puts him on the radar of local police detectives Rosewood (Judge Reinhold) and Taggart (John Ashton) and their Lieutenant Bogomil (Ronny Cox). Axel uncovers a sophisticated smuggling operation run by Maitland and his goons, but bringing the wealthy businessman to justice will be a tough assignment for a Detroit cop out of his jurisdiction. 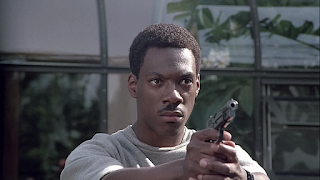 Produced by the 1980s power duo of Don Simpson and Jerry Bruckheimer and directed by Martin Brest, Beverly Hills Cops is star vehicle for the unstoppable charismatic talent of Eddie Murphy. This is a foul-mouthed police comedy filled with frantic action and polished to a colourful southern California shine, embracing the contrast of an undercover cop from downtrodden inner-city Detroit invading sparkly Beverly Hills and causing comical mayhem on a personal mission to avenge his dead buddy. While the story is quite standard, it serves as merely a backdrop for Murphy to let loose in a series of memorable set-pieces. Whether talking his way into a succession of off-limits glitzy locations, outsmarting the local cops or penetrating heavily defended warehouses, Axel Foley emerges as a witty, resourceful and hilarious hero, revelling in his transplanted status and happy to bring the best of Detroit's street-wise attitude to the tony environs of Rodeo Drive and its self-loving people. The Daniel Petrie, Jr. script keeps things simple, playing to the strengths of Murphy by just presenting Axel with a series of asymmetrical challenges and allowing him to turn the tables in the funniest possible way. And the dishevelled cop does it all with a broad smile on his face, except for the numerous occasions when he bursts into his goofy guffaw. Axel manages to laugh at and with his opponents at the same time, keeping them off-balance, as he navigates every occasion with a disarming "who me?" sense of the underdog who couldn't possibly hold the advantage until he very much does, and it's too late for everyone else. The film's cool vibe is dramatically enhanced by a legendary soundtrack. The Heat Is On by Glenn Frey and Neutron Dance by the Pointer Sisters both became huge hits, while Harold Faltermeyer's electronic instrumental Axel F remains one of the most iconic 1980s music themes. The supporting actors alternate between standing back to create space for Murphy and stepping forward to present juicy targets. Judge Reinhold and John Ashton fulfill their roles admirably as the by-the-books local cops who initially stand in Axel's way but eventually buy into his methods and mission. Steven Berkoff makes for a worthy adversary, but Lisa Eilbacher gets the most stuck-in-the-eighties role of superfluous female interest struggling against oversized shoulder pads. 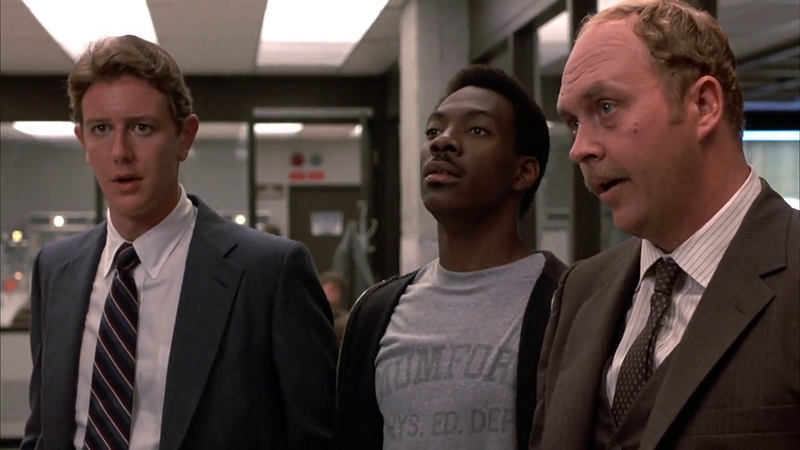 Dripping with a winning attitude, Beverly Hills Cop cruises down the glitzy boulevard paved with blinding star power.